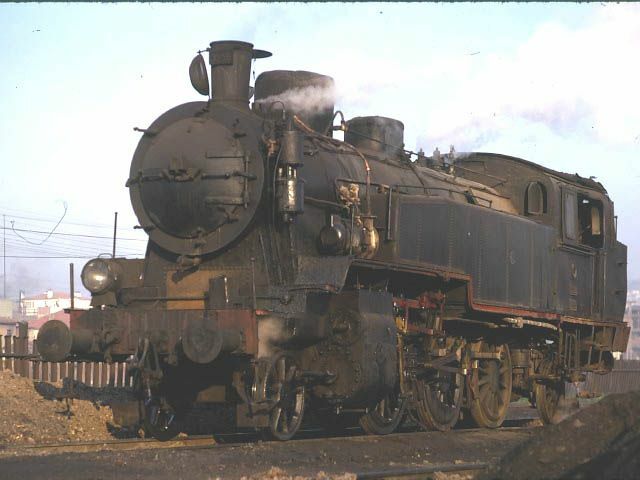 3556 at Samsun 31 March 1974. 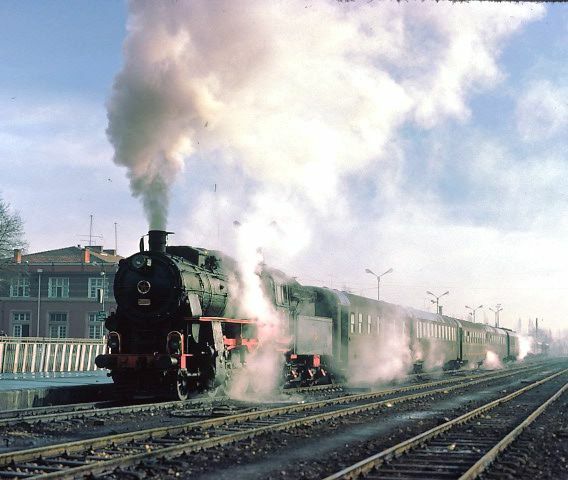 More traditional picture of 3556 at Samsun 31 March1974. 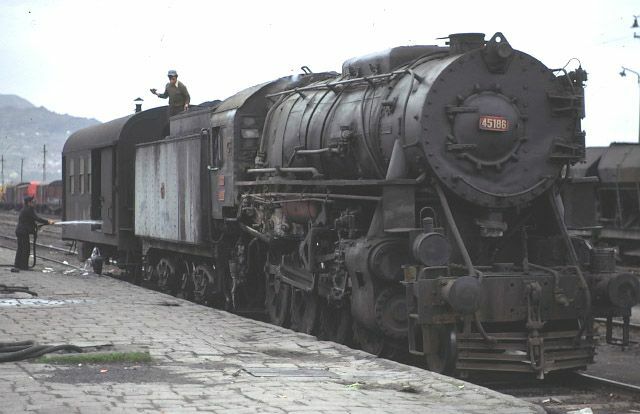 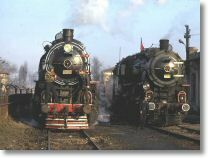 Rear three-quarter view of 3302 and 3556 at Samsun 31 March 1974. 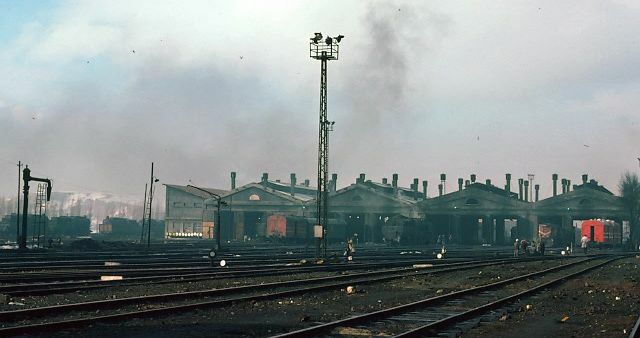 45003 awaits its next turn of duty on Samsun depot 31 March 1974. 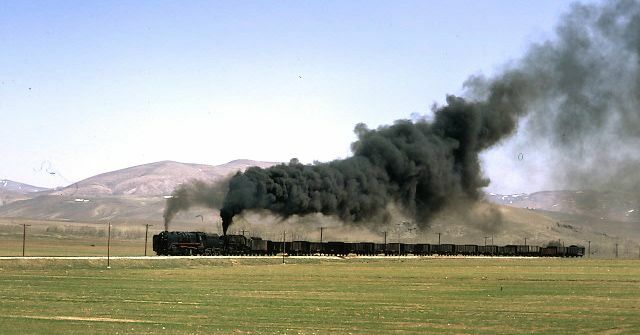 45061+45003 at Samsun 31 March 1974. 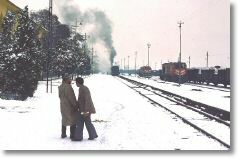 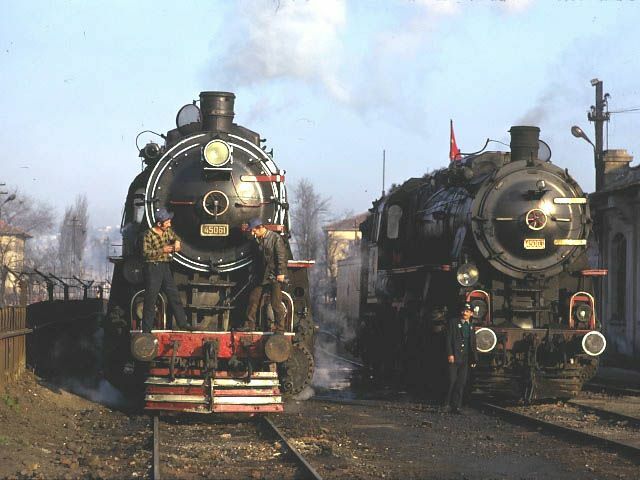 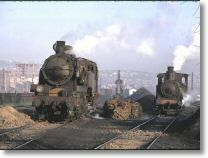 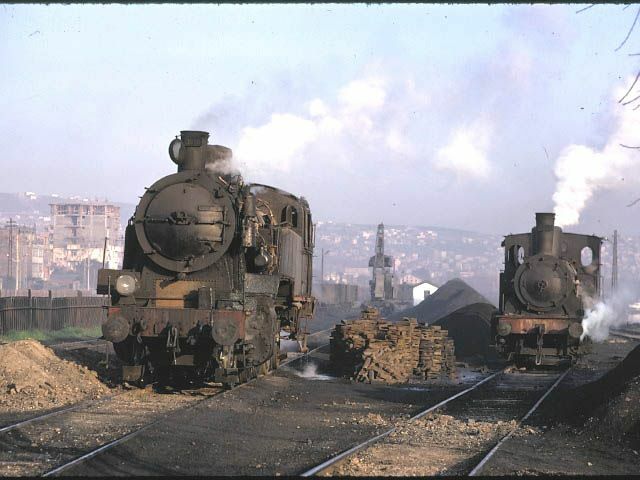 A pair of Nohabs with their enginemen on Samsun shed 31 March 1974. 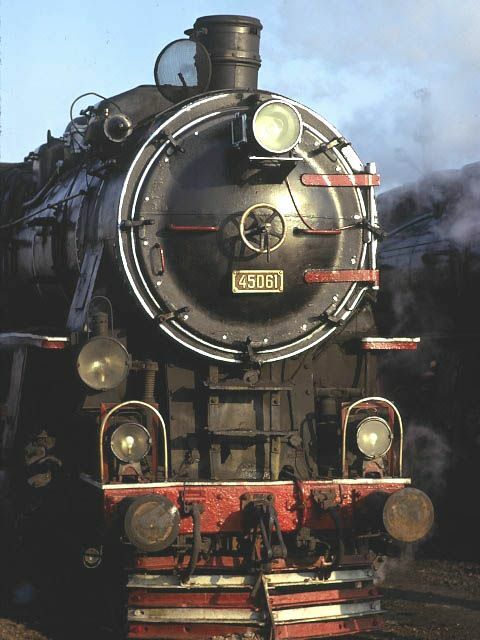 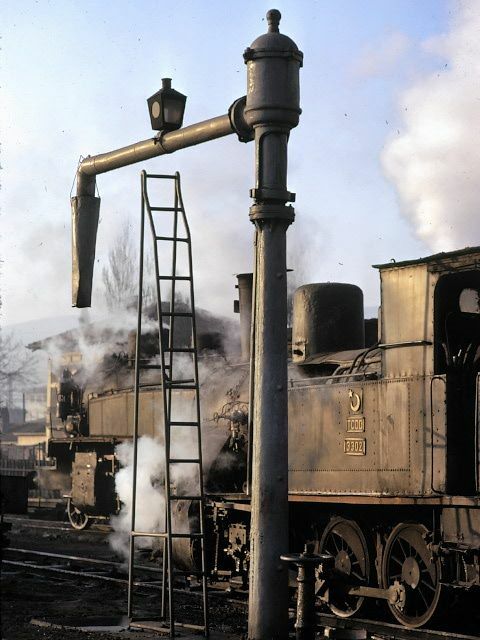 Highly polished front end on 45061, Samsun 31 March 1974. 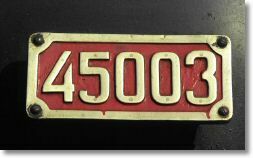 Magnificent brass plates of 45003, where did they all go? 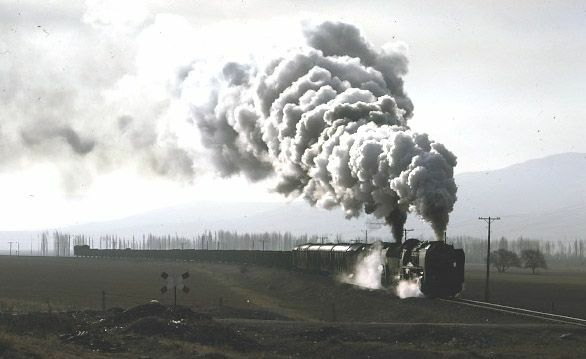 Samsun 31 March 1974. 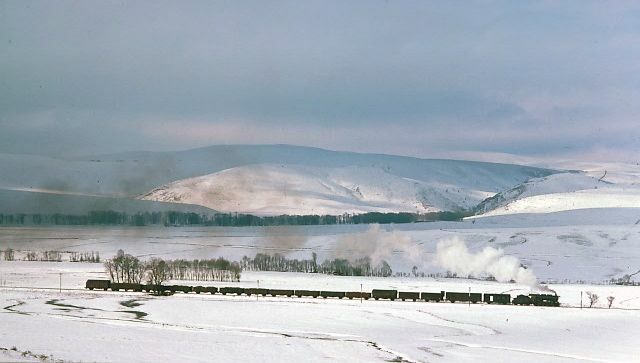 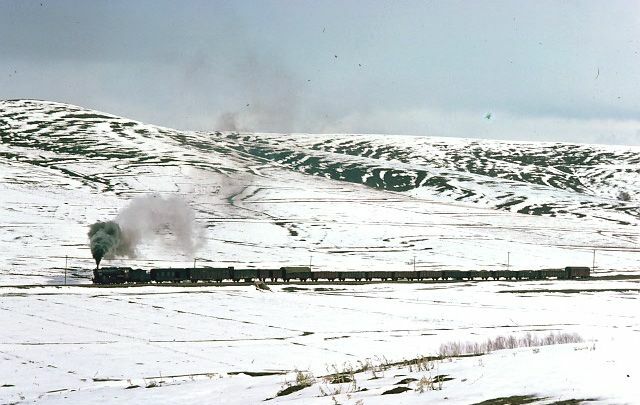 45013 near Ladik 31 March 1974. 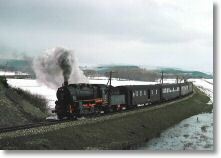 One of the pictures that the wind didn't quite ruin. 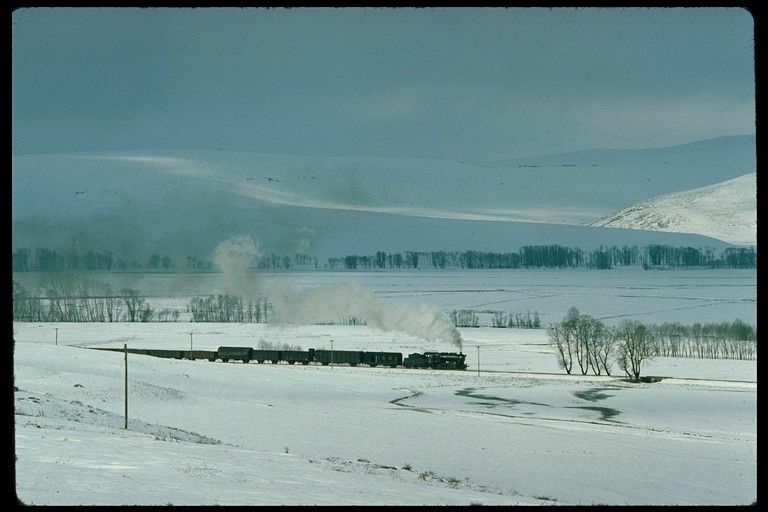 45013 leaves Ladik southbound 31 March 1974. 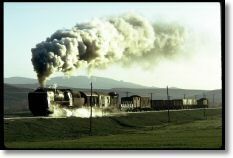 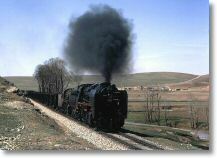 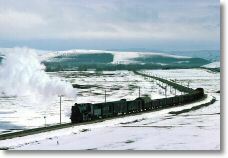 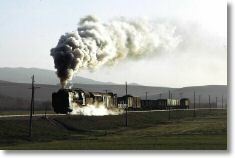 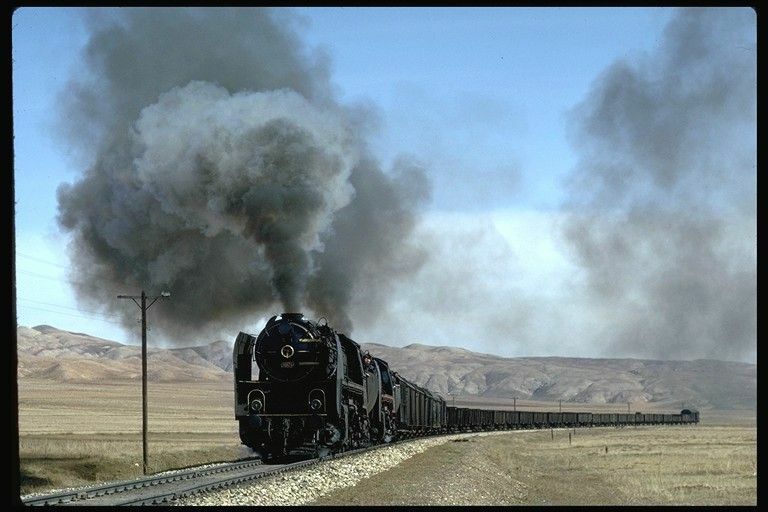 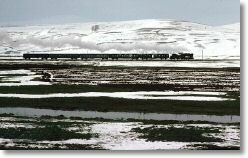 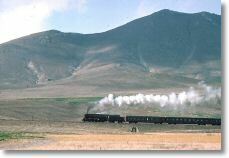 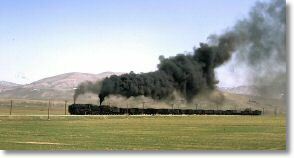 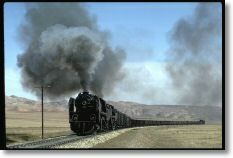 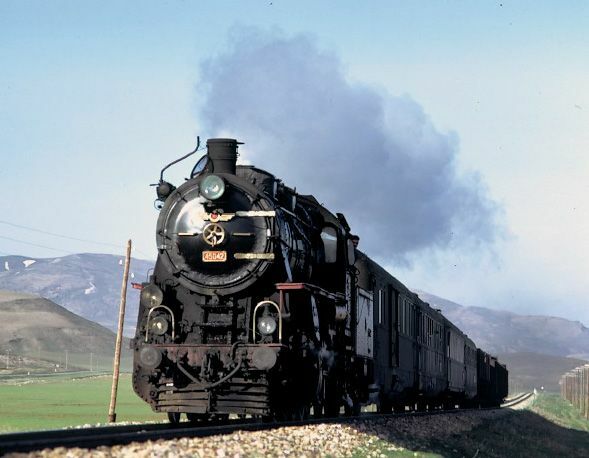 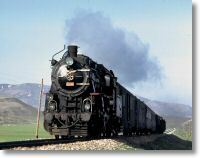 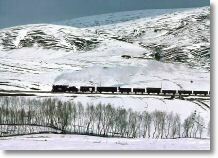 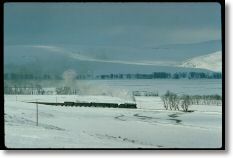 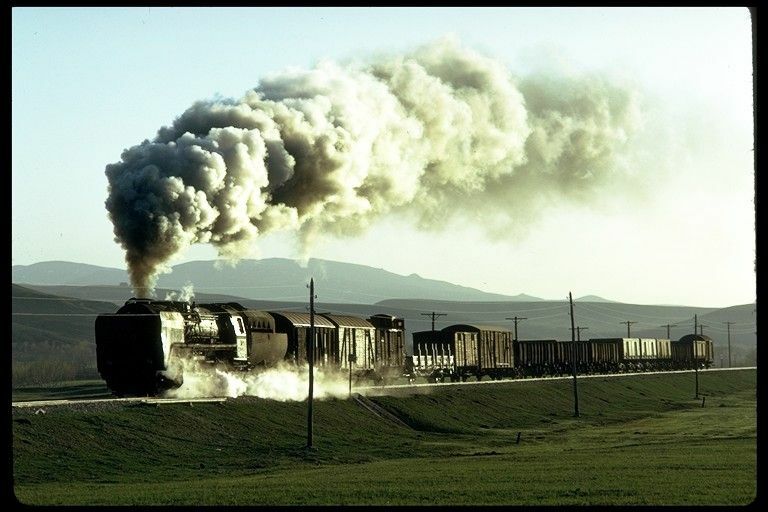 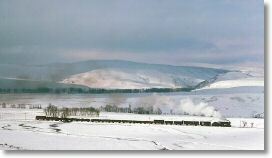 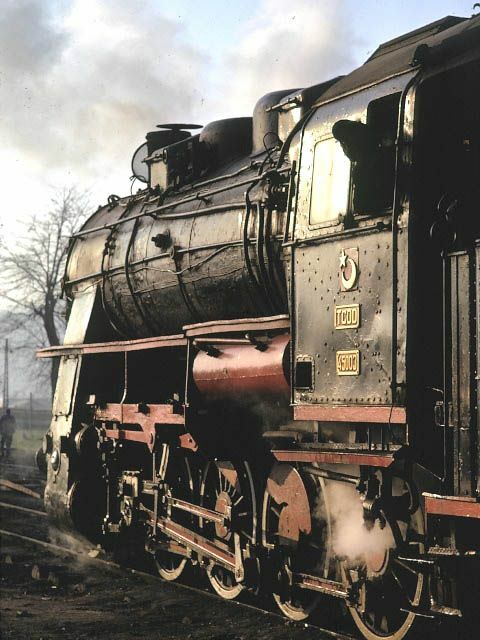 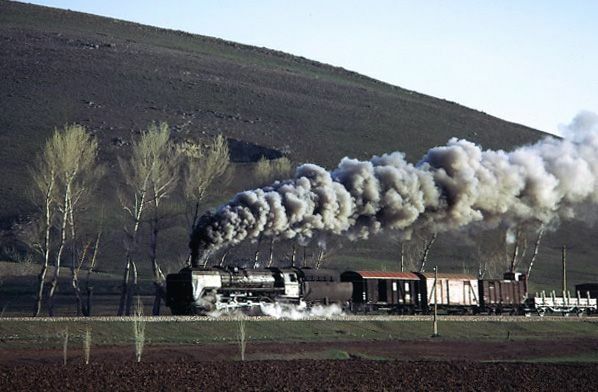 Once in the loop the passenger train could continue south on its journey to Sivas. 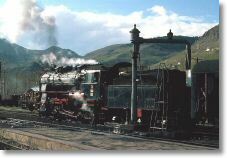 The freight train sits in the station in the background. 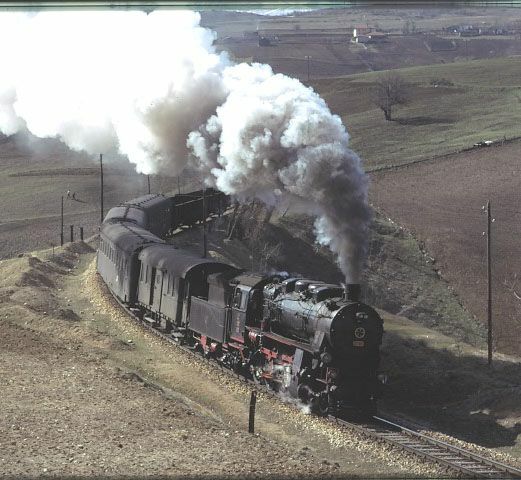 45060 entering Ladik 31 March 1974. 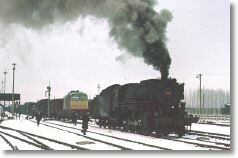 At Ladik, the passenger had to wait for this northbound freight to arrive. 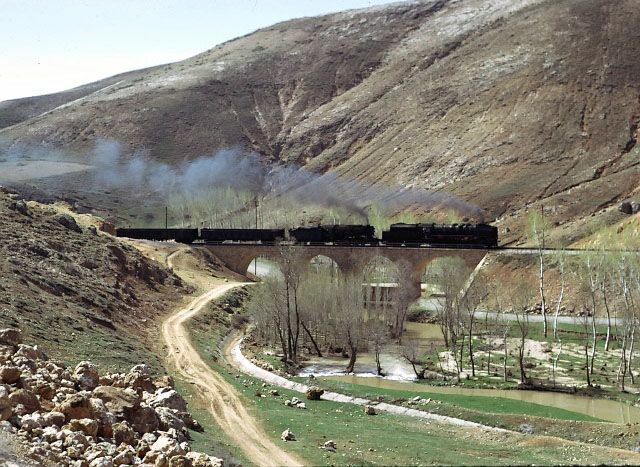 56117 heads north out of Amasya 31 March 1974. 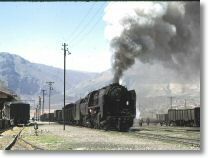 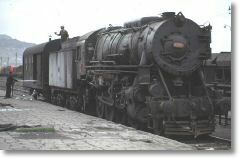 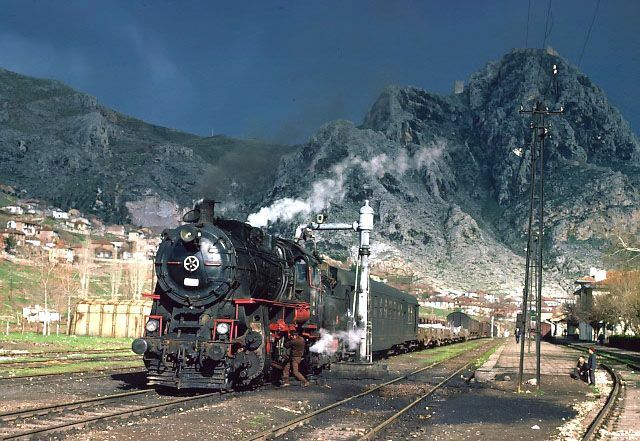 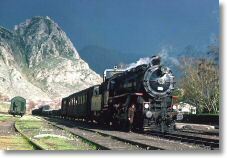 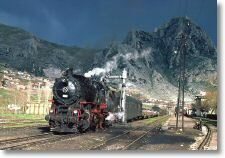 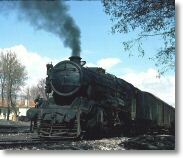 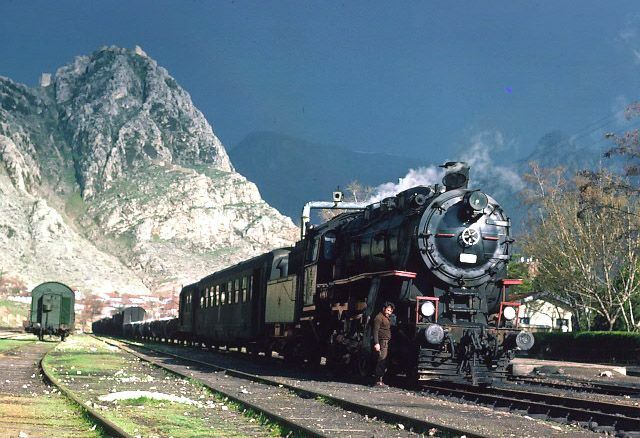 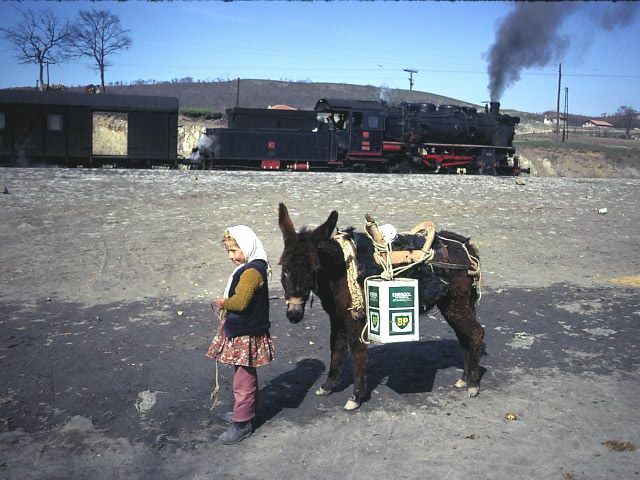 At Amasya we meet a northbound freight headed by the first of the Czechoslovakian built Henschels. 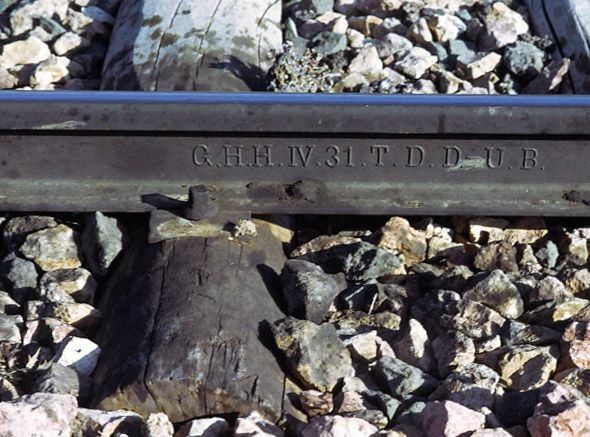 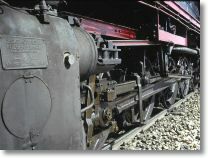 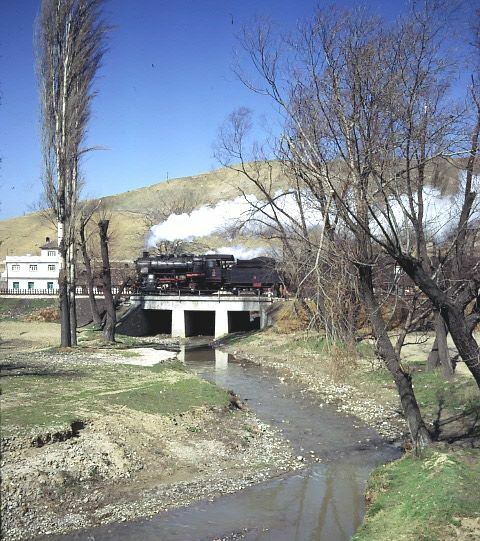 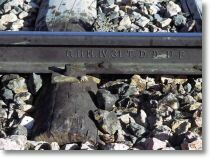 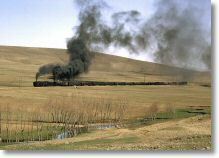 Rail detail near Yildizeli 9 April 1975. 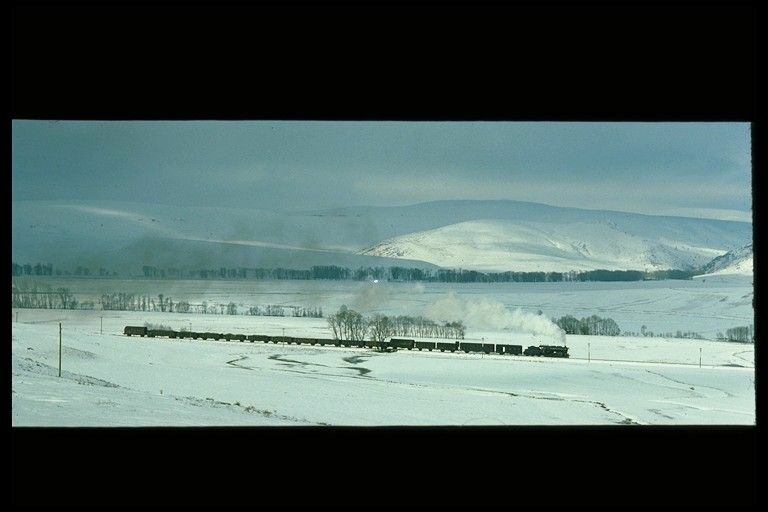 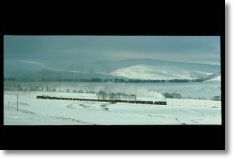 Its amazing what one takes to finish off a film. 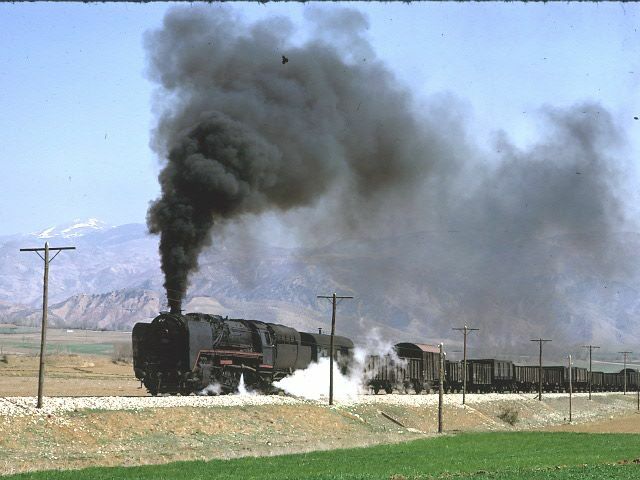 56166 + 45214 east of Yildizeli 9 April 1975. 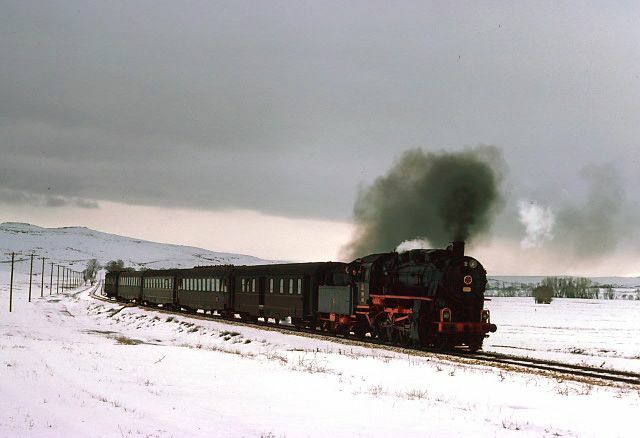 The next northbound train on the Samsun line had a second loco coupled inside the usual 2-10-0. 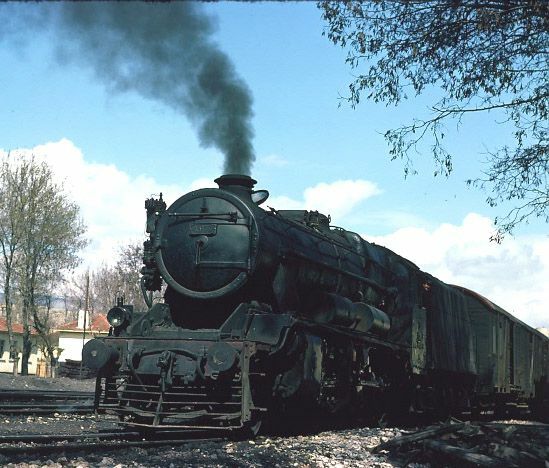 It turned out to be an American S160 which we believe was running in from Sivas Works in an unpainted state (more pictures after the next one). 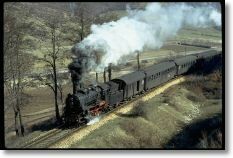 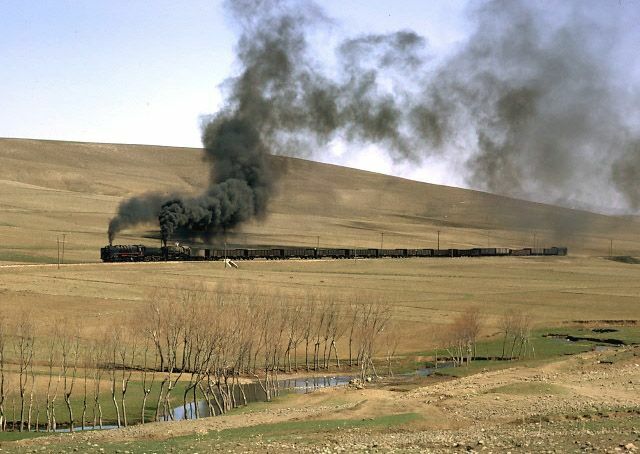 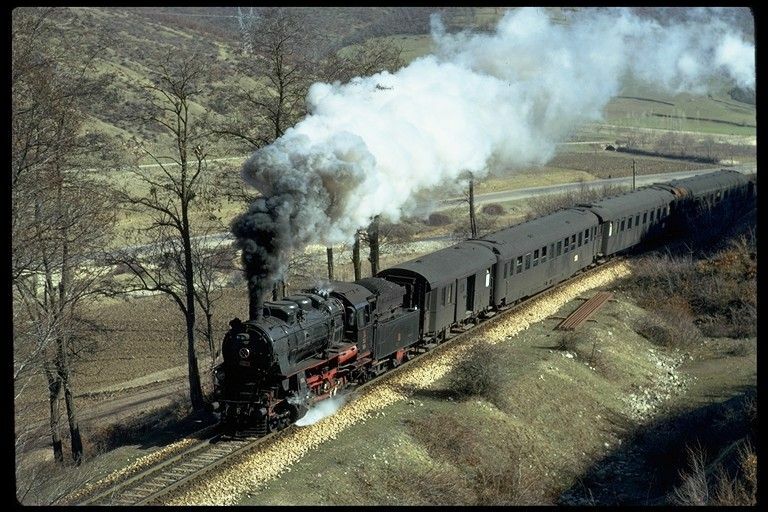 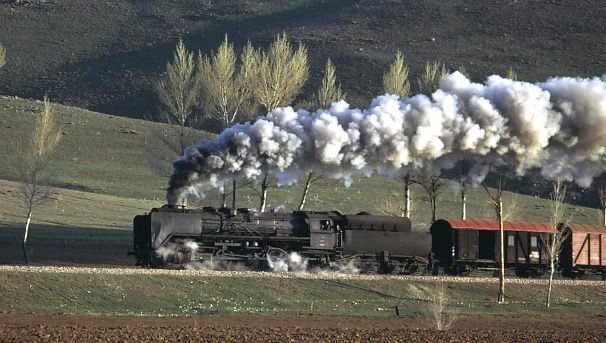 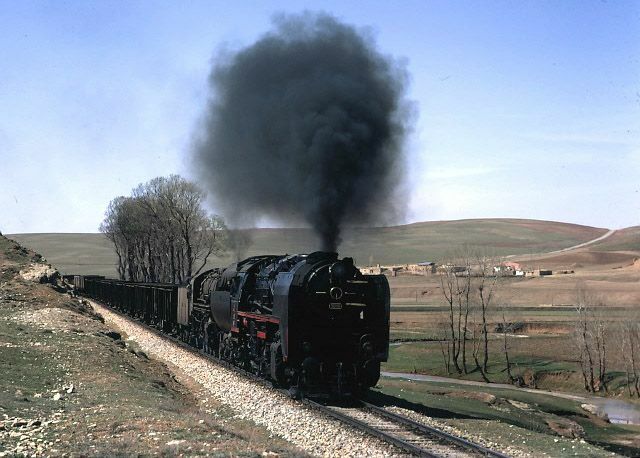 13568 56166 + 45214 west of Yildizeli 9 April 1975. 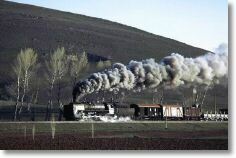 Last picture of the train before we started the long drive east to Erzincan, which at that time was uncharted territory. 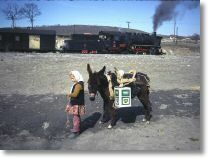 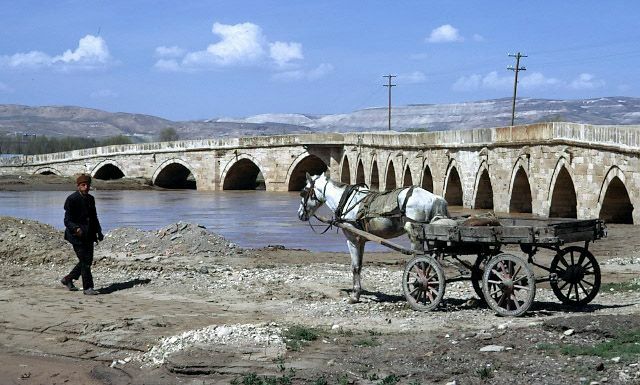 13576 Bridge near Sivas with horse and cart 9 April 1975 An alternative form of transport which was very common in those days. 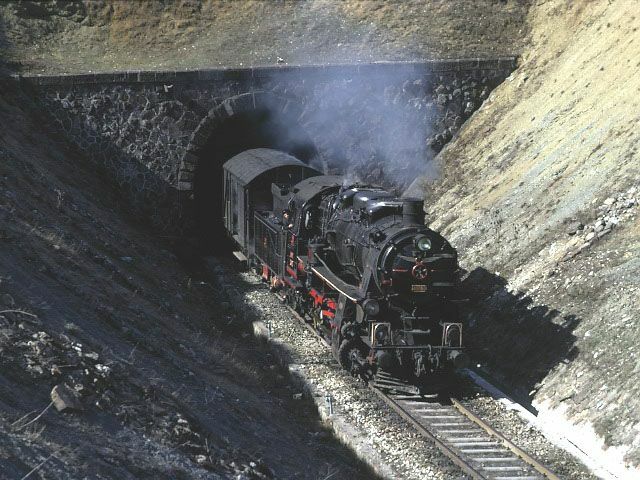 Not very nice to meet in the dark. 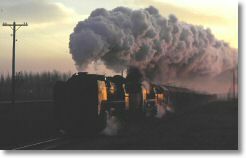 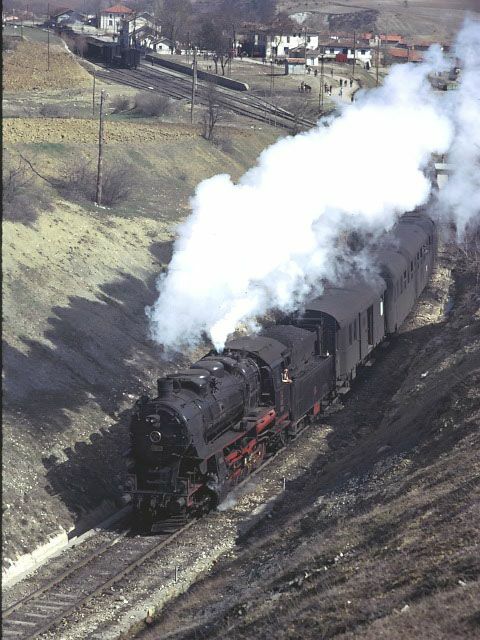 45170 at Zile 15 March 1977. 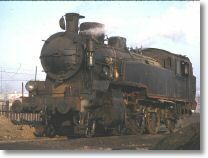 I don't remember much about Zile, except that we found this British built 2-8-0 of ex LMS design. 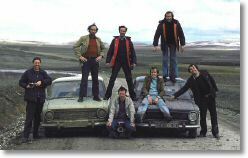 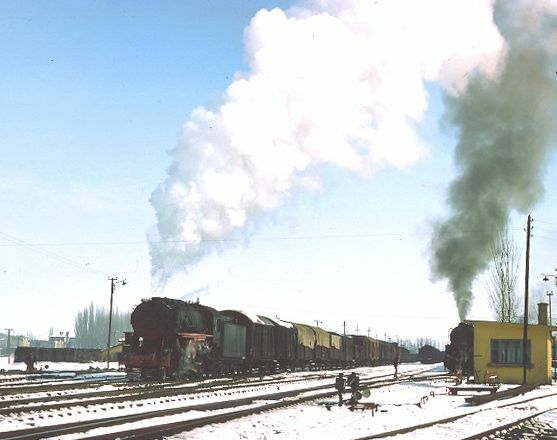 17978 45170 at Zile 15 March 1977. 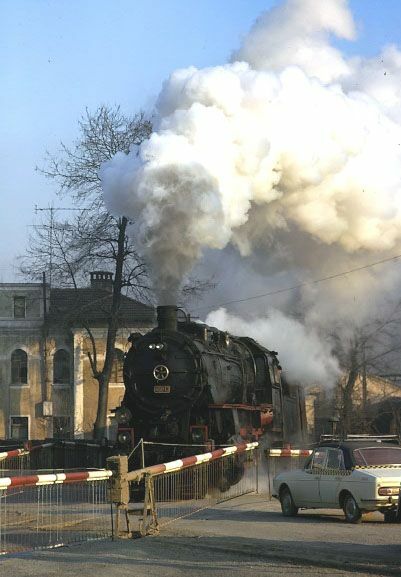 If you look carefully at the number plate it appears to be mounted on top of another plate. 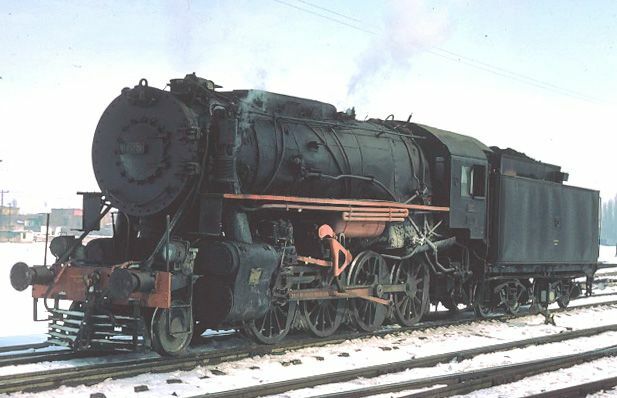 Any suggestions, WD plate perhaps? 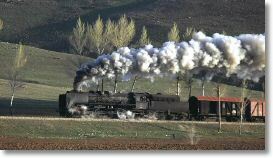 56124+56125 near Hanlı. 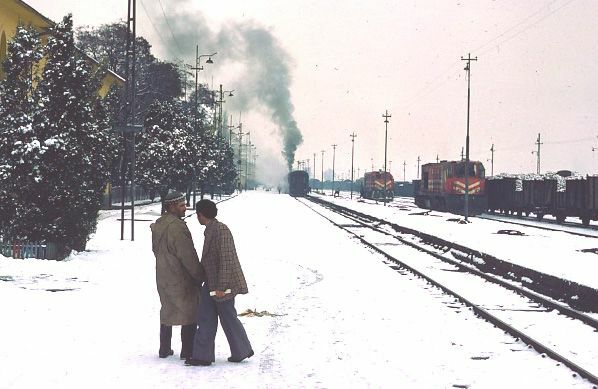 1 April 1974. 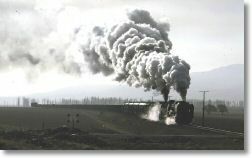 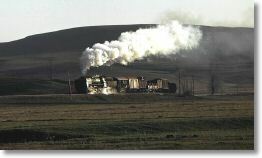 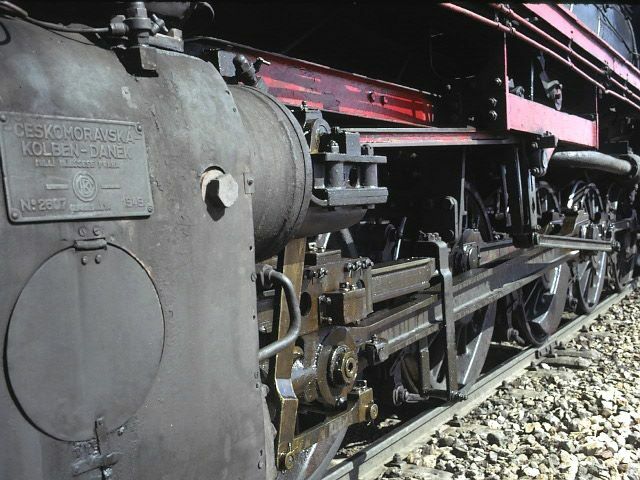 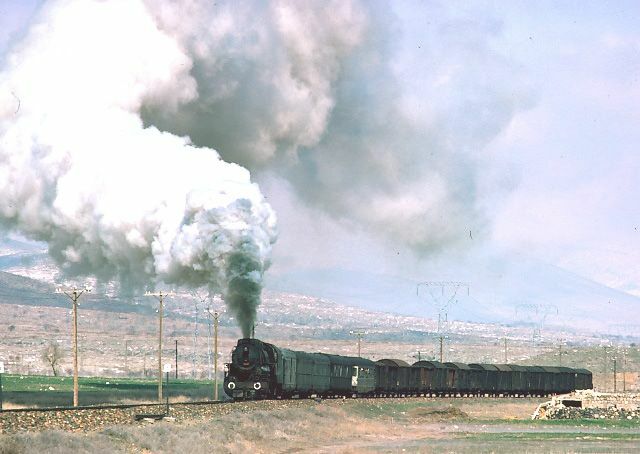 Once clear of the cement works influence the clarity and colours return as shown in this view of the train near Hanlı. 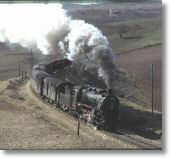 56124 close up detail near Tuzla. 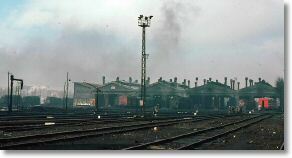 1 April 1974. 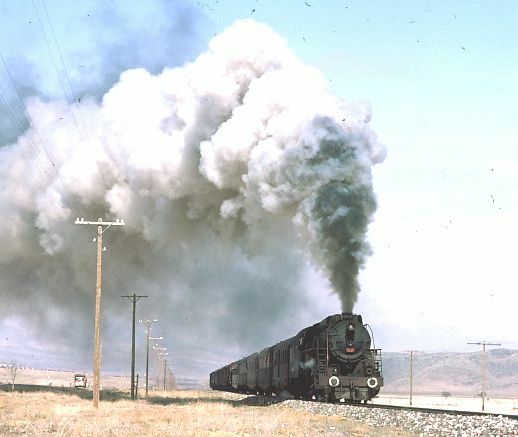 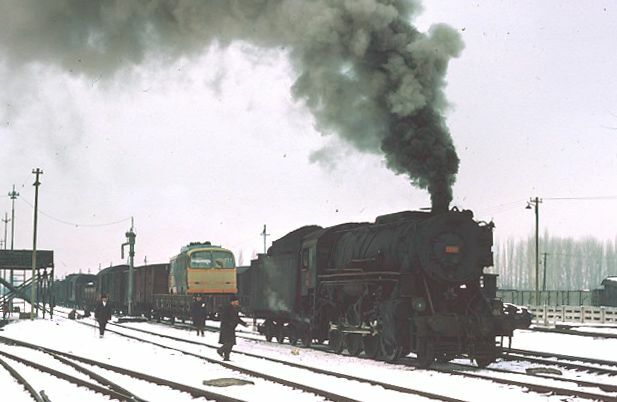 Not long after the last picture was taken, the train broke in two and the whole job ground to a halt whilst the wagons were reconnected. 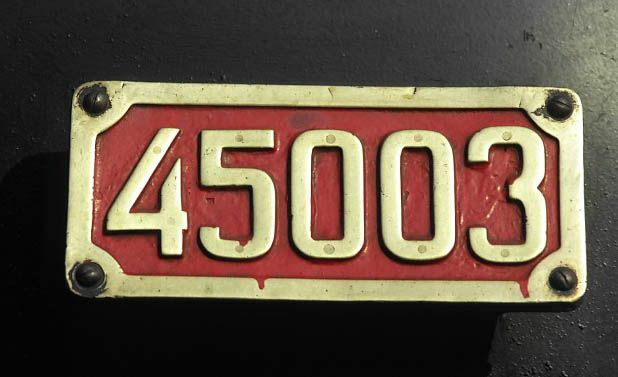 This gave the opportunity for a close up picture showing the fairly unusual position of the loco works plate on the cylinder cover. 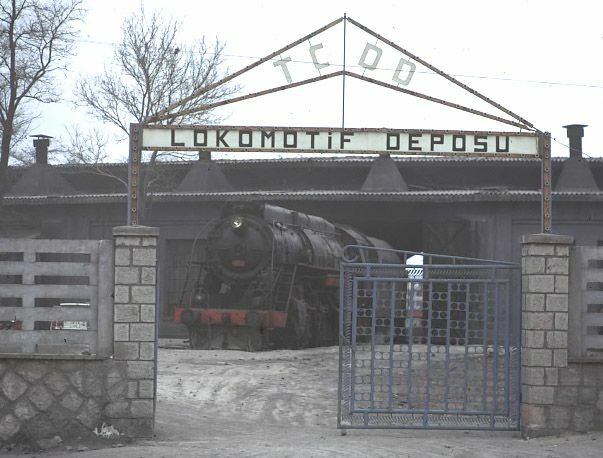 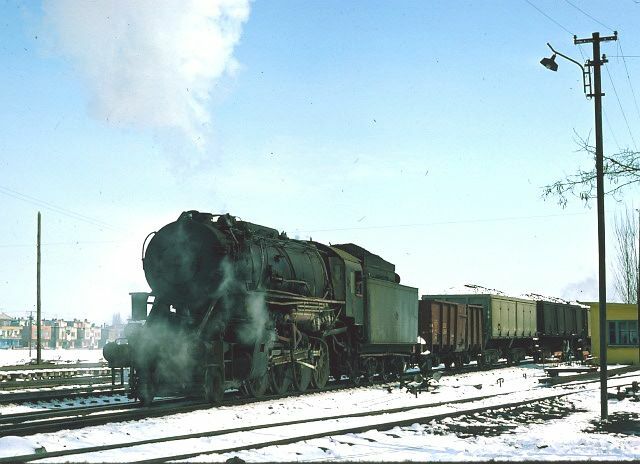 Shed entrance at Kayseri 1 April 1974. 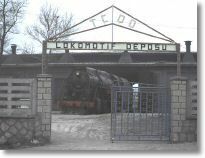 In view of the poor conditions, we did not attempt to visit the shed and contented ourselves with this rather poor picture of the shed entrance. 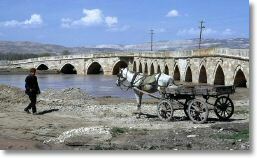 I think the long drive down to Mersin that evening was at the back of everybody's mind. 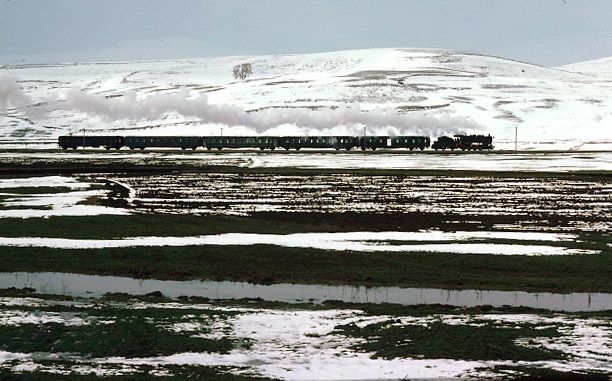 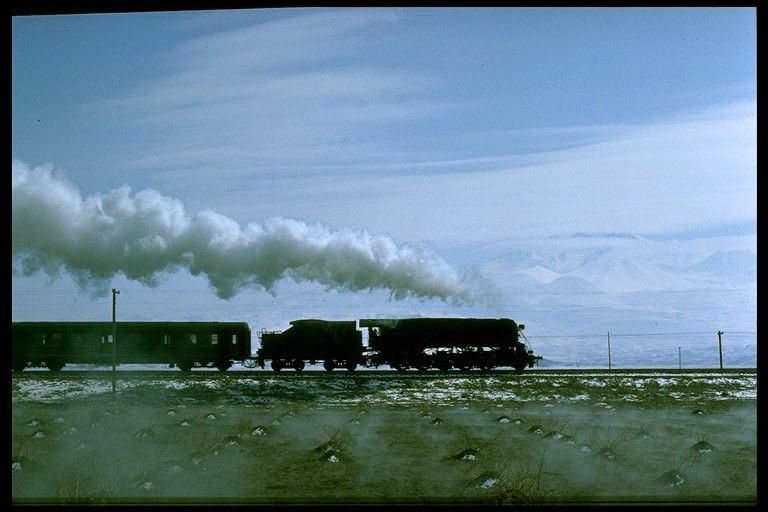 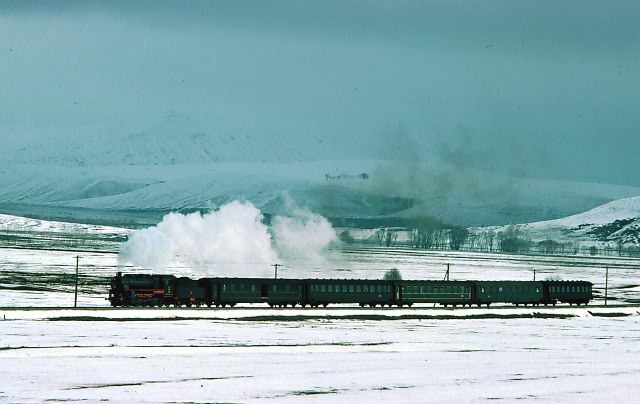 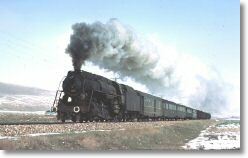 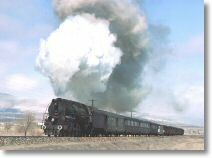 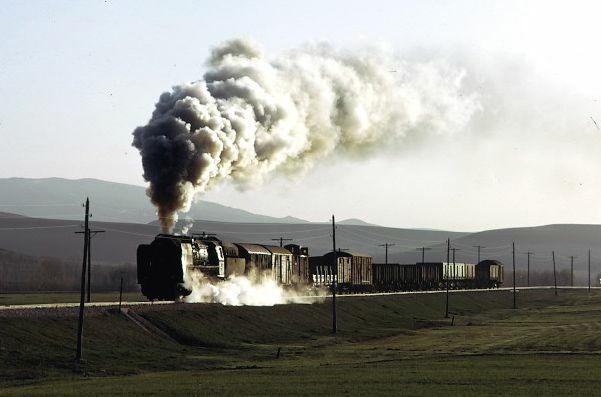 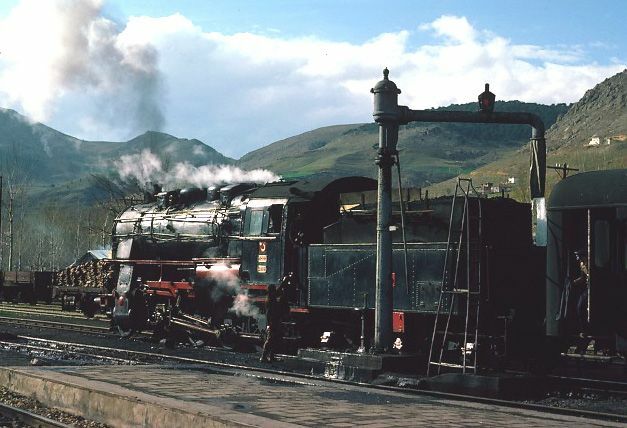 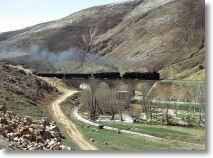 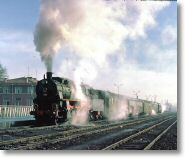 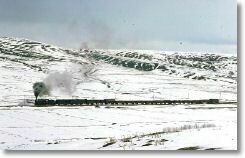 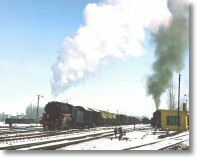 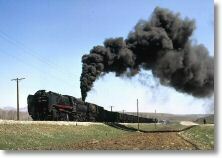 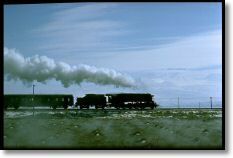 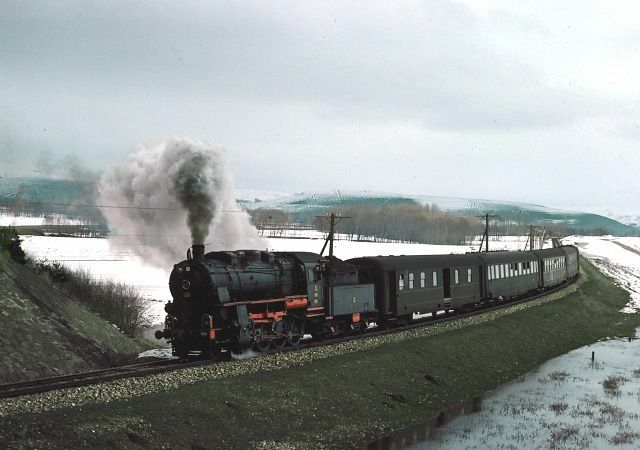 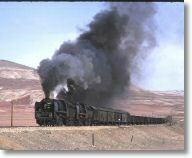 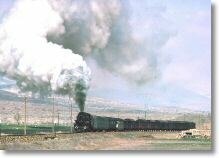 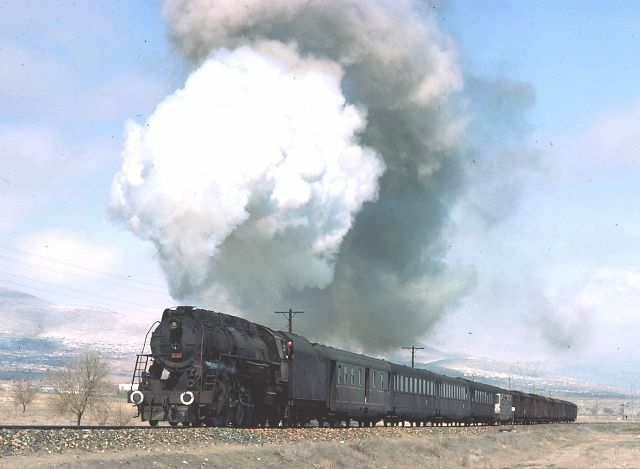 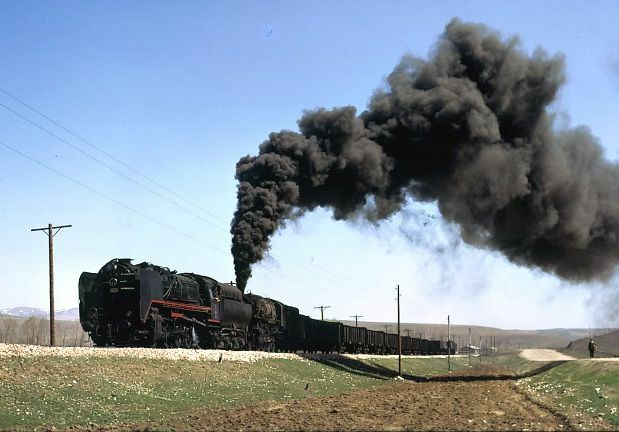 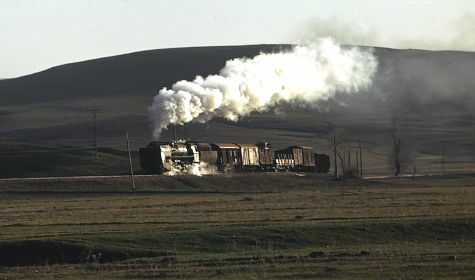 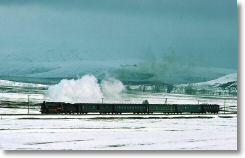 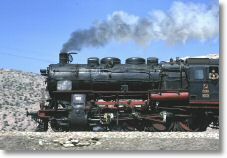 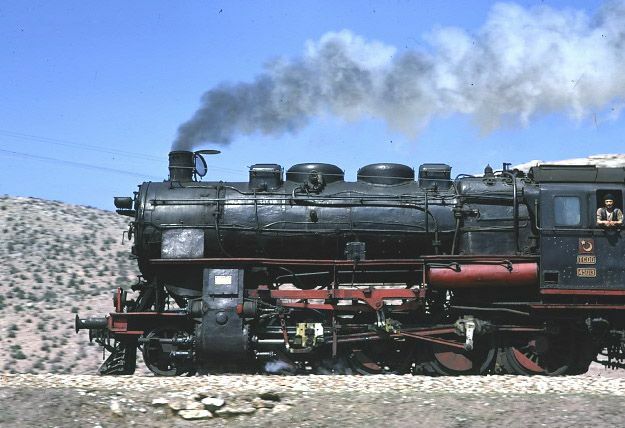 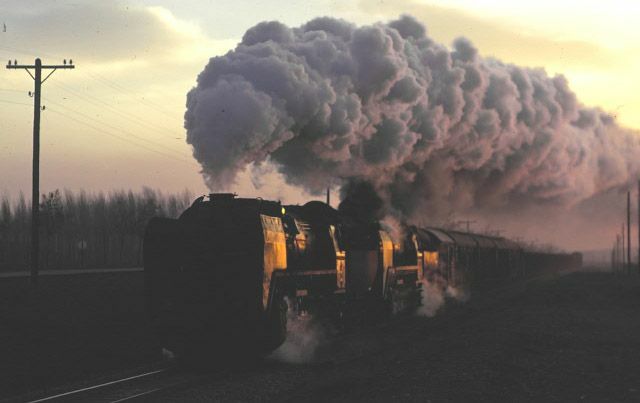 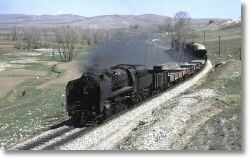 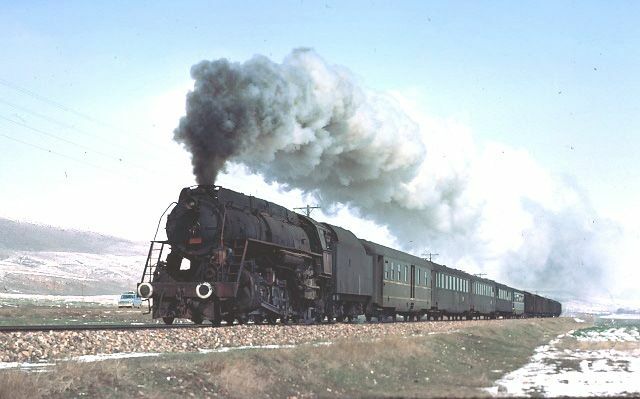 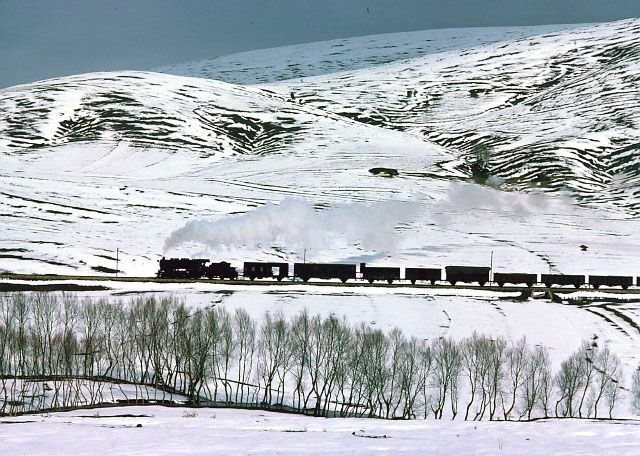 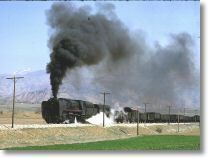 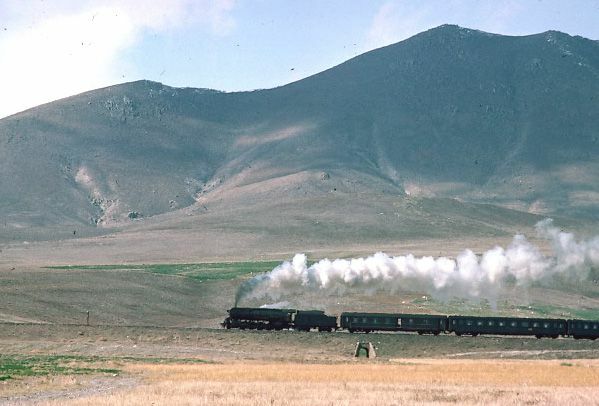 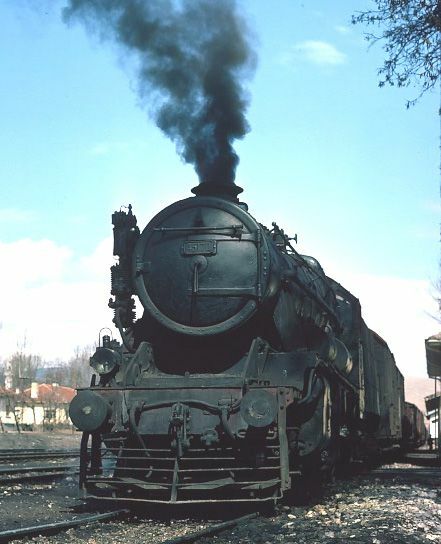 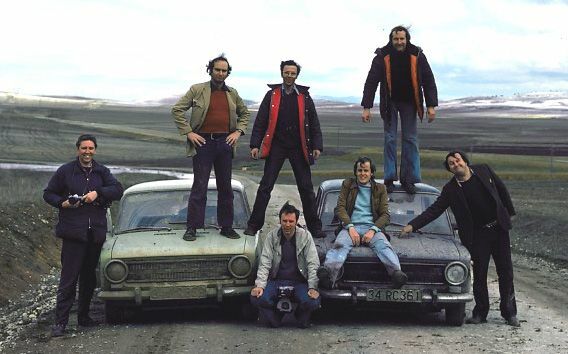 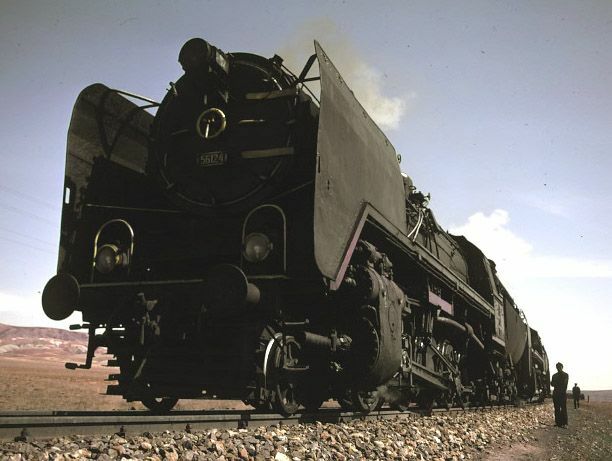 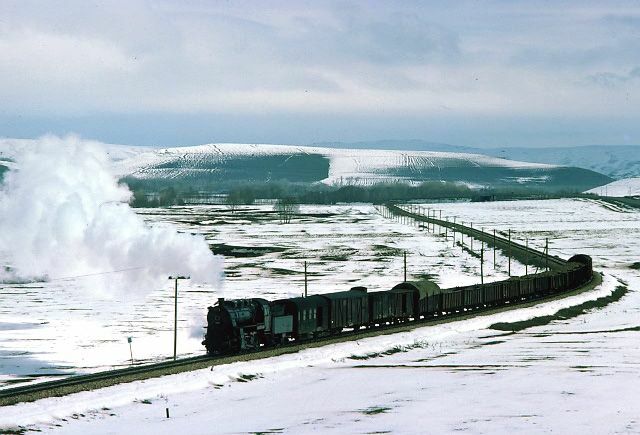 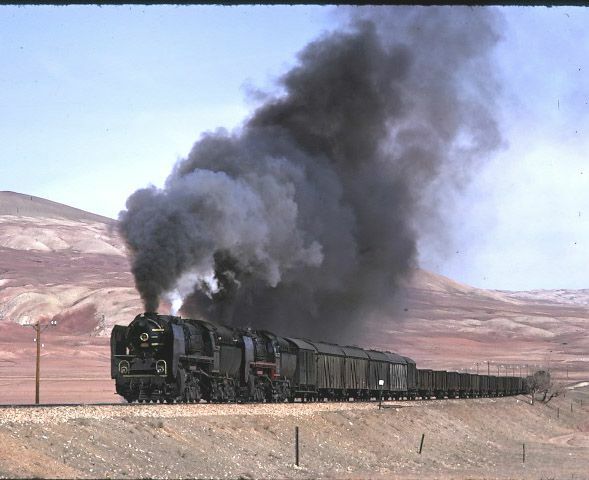 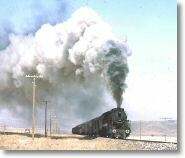 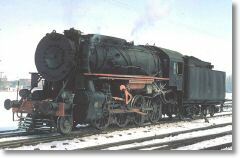 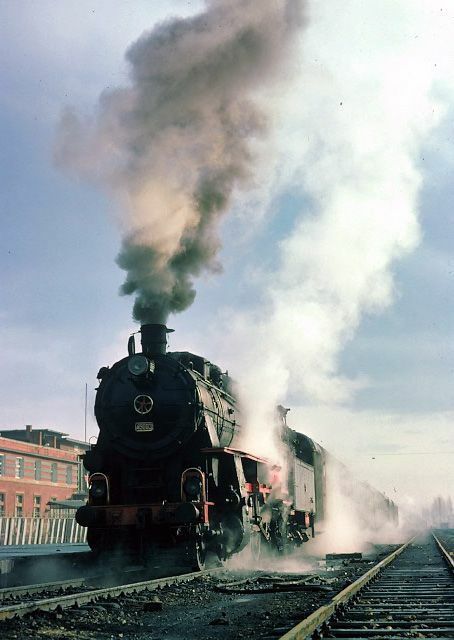 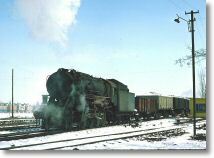 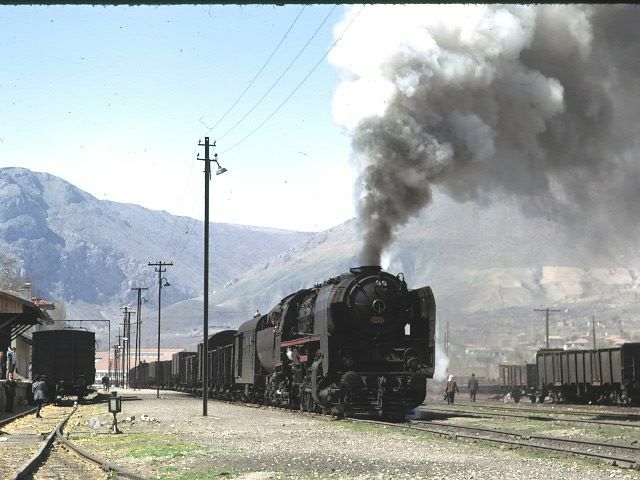 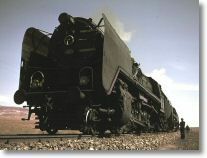 56362 between Kayseri and Niğde 11 March 1977. 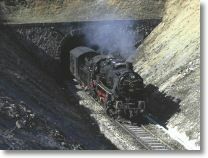 The loco is working hard on what appeared to be a fairly level section of track. 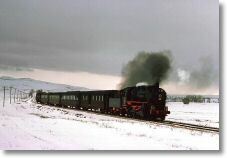 During the chase we noticed a door open half way down the train but no one on board seemed too concerned! 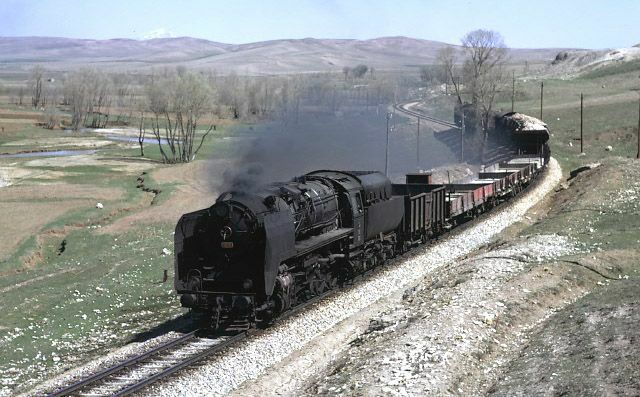 56362 between Kayseri and Niğde 11 March 1977. 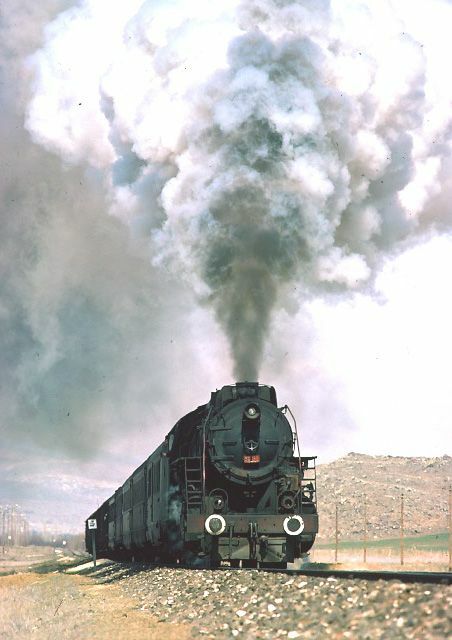 We only ever saw Skyliners on this line or on the Zonguldak line, did they work regularly anywhere else?